With festival season fast approaching here is a look back at some of my favourite festival poster designs. Vibrant colours, playful typography, graphic art and illustrations combine to make truly outstanding pieces of art. Bestival poster design from 2015 and 2016. Located on the Isle of Wight, this festival has been around since 2004. 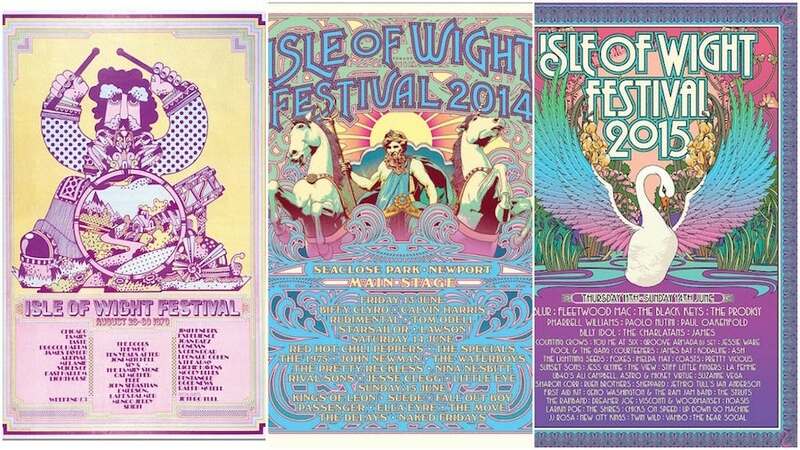 Isle of Wight Festival poster from 1970, 2014 and 2015. This festival, located on a small island off the English coast, began in 1968 and continued through to 1970 and was revived in 2014 hosting bands like Fleetwood Mac and The Who. It is amazing to see the development of posters over the years. Glastonbury poster 1982 - One of the biggest UK festivals based in Somerset, England, Glastonbury has been thriving since 1970. Glastonbury poster 1984 - Glastonbury had a strong hippie and free-movement influence and still showcases not only music but theatre, art, comedy, circus and more. 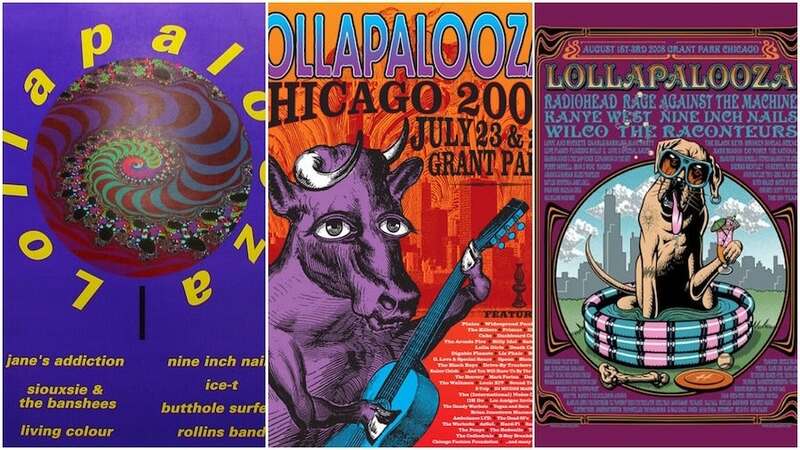 The development of the Lollapalooza festival posters (1991, 2004, 2005). Starting as a goodbye tour for the band Jane’s Addiction it soon became a full blown festival running from 1991-1997 and then revived in 2004. An iconic poster for Woodstock '69. This American festival aired in 1969 on a diary farm and attracted an audience over 400,000. Since 1976, Wercher has hosted annual Rock festivals. Bands such as Linkin Park, Food Fighters and The Gorillaz are just some of the acts who have performed at this festival.